We are in a full #FallandOats frenzy at Coach’s Oats. Bring on all things warm, cozy and oat-so delicious! 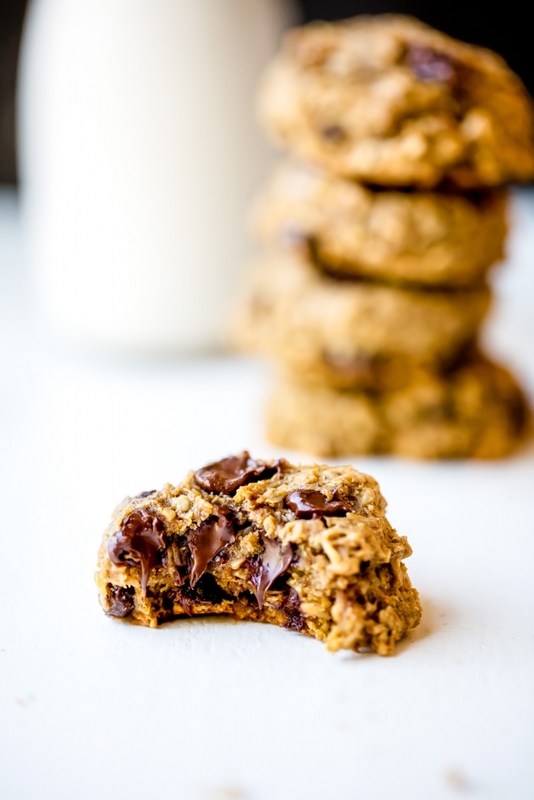 With that in mind, we share this recipe for Pumpkin Oatmeal Chocolate Chip Cookies. This recipe is brought to us by Monique from Ambitious Kitchen. Click here to view original post. These babies are full of the fall-loving flavors we crave: pumpkin, chocolate, spices and, of course, Coach’s Oats. Parents and figure-minded folks, don’t be alarmed. 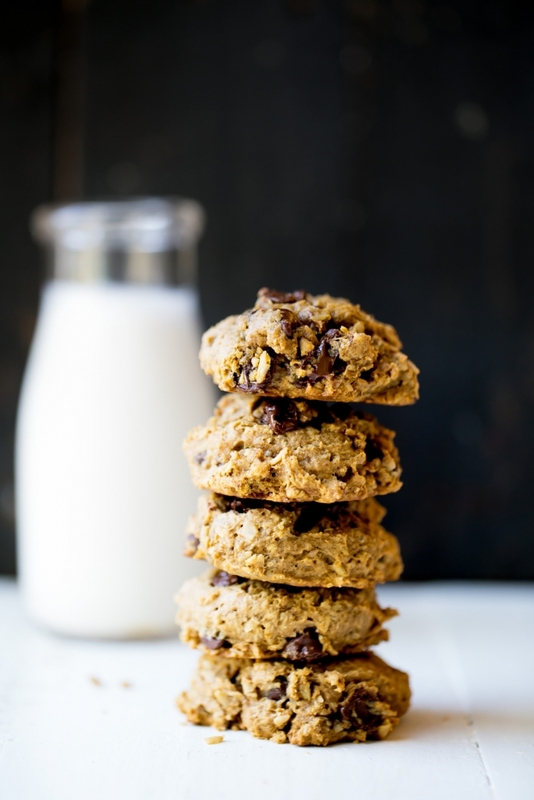 These cookies are a wholesome treat, coming in with only 140 calories per cookie (view original post and nutritionals). Ready, set, print! Time to pint this recipe, grab some Coach’s Oats and get to baking. Note: This recipe works great for dairy-free diets. However, you can replace the coconut oil with melted butter or browned butter, as well. In a medium bowl, whisk together flour, salt and baking soda; set aside. In the bowl of an electric mixer, beat coconut oil, brown sugar, vanilla and egg until well combined, smooth and creamy. Keep mixer on low speed and add in pumpkin. Next, add in dry ingredients except oats and chocolate chips, mixing until just combined. 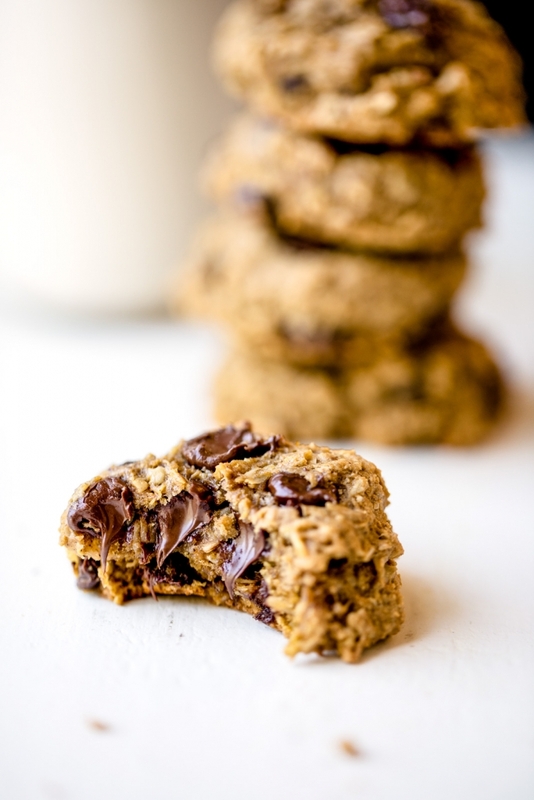 Gently fold in oats and chocolate chips with a wooden spoon. Using a cookie scoop, drop dough onto prepared baking sheet. Flatten dough slightly with the palm of your hand. Bake cookies for 10 to 12 minutes or until edges become golden brown. Makes 20 cookies. Cookies should be stored in a covered container and will get softer and more cake-like the day after you bake them. Copyright © Coach&#039;s Oats, Inc.